To serve and protect! 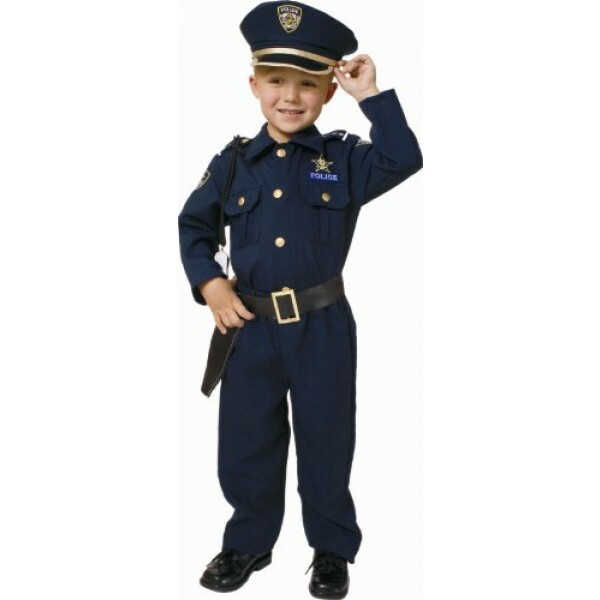 If she dreams of being a police officer, she'll love this deluxe dress-up police officer set from Dress Up America. This set includes a shirt, pants, a belt, a hat, a whistle, and a holster. The 100% polyester uniform includes realistic looking embroidered patches, real buttons, and real shirt pockets. Please note: shoes not included.